£100 discount (per person): On selected tours departing between Oct 19-Mar 20 if you book by 28 Feb 19. Day 1 Wellington: On arrival you will be met and transferred to your hotel. Day 2 Wellington/Blenheim: Board the Interislander ferry across Cook Strait through the Marlborough and Queen Charlotte sounds. Admire coastlines defined by tiny coves on the way to Blenheim. 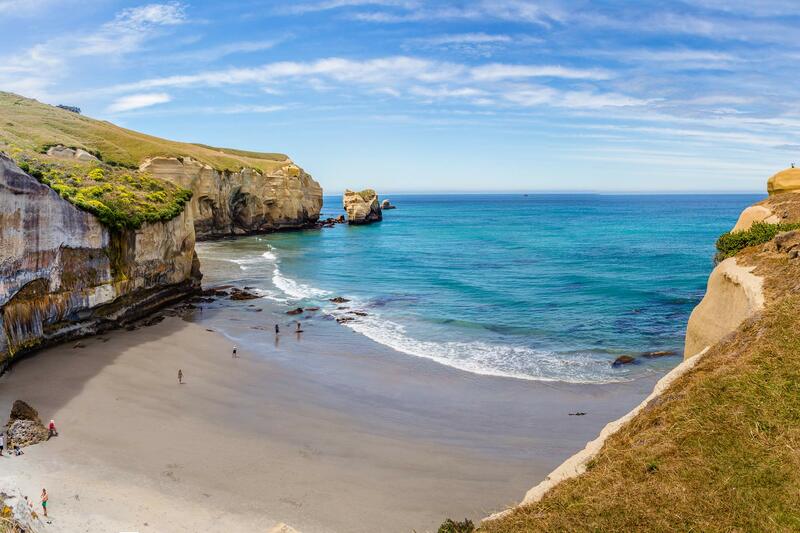 Day 3 Blenheim/Christchurch: Head to Kaikoura and embark on an exciting whale watching cruise. Continue your journey onwards to Christchurch. 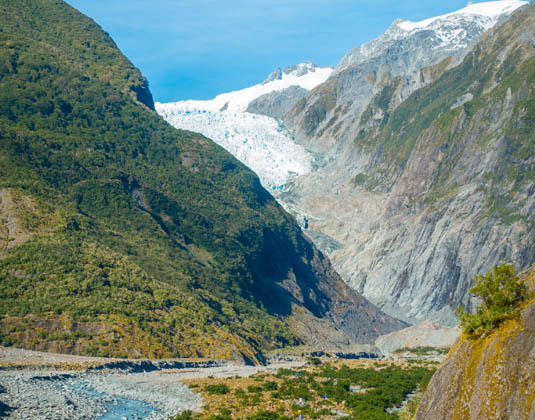 Day 4 Christchurch/Fox Glacier: Drive through the Southern Alps to Westland Tai Poutini National Park, home to the Franz Josef and Fox Glaciers. Later, travel along the west coast and soak up the incredible vistas. 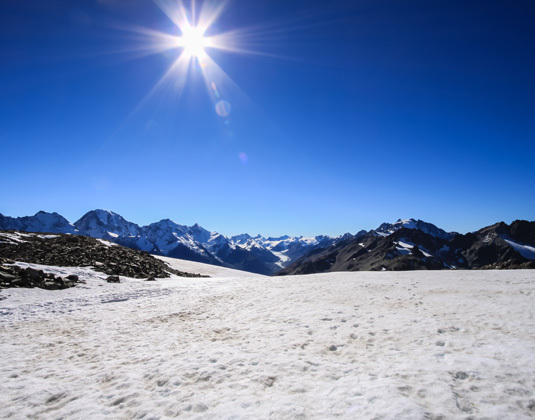 Day 5 Fox Glacier/Queenstown: Travel past the snow-capped peaks of the Southern Alps, through spectacular Haast Pass, skirting the tranquil shores of lakes Wanaka and Hawea to the alpine resort of Queenstown. Renowned for its world-class culinary scene perhaps enjoy one of the many local restaurants this evening. 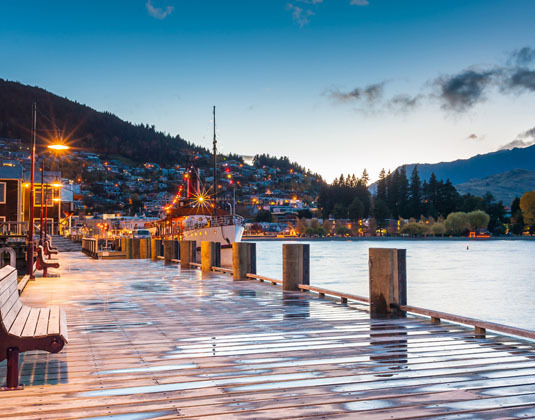 Day 6 Queenstown: With almost endless activities on offer in and around the town, Queenstown is perfect for adventurers and leisure-seekers alike. During time at leisure today, you have the freedom to choose one of the optional experiences available. 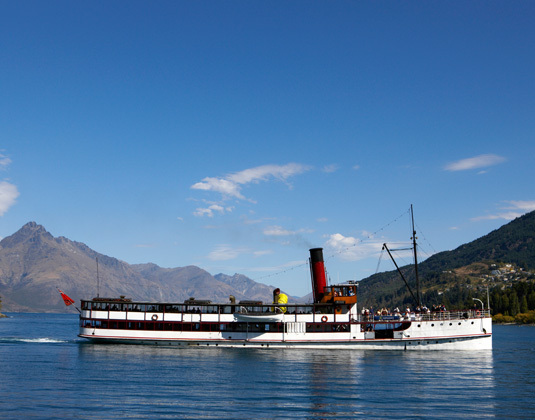 Perhaps join the TSS Earnslaw for a cruise to Walter Peak Station or take a gondola ride to the top of Bob’s Peak for views over Queenstown (both additional expense). Day 7 Queenstown/Te Anau: Skirt The Remarkables mountain range, tracing the shores of Lake Wakatipu to Fiordland National Park and beyond to Milford Sound. Relish the extraordinary landscapes and diverse scenery as you cruise the full length of this magnificent fiord, with views of cascading waterfalls, dense rainforest, sheer cliffs and the surrounding mountains of this World Heritage Listed area. Afterwards, continue by coach to the lakeside settlement of Te Anau. Day 8 Te Anau/Dunedin: Travel through the hills of Southland to Dunedin. 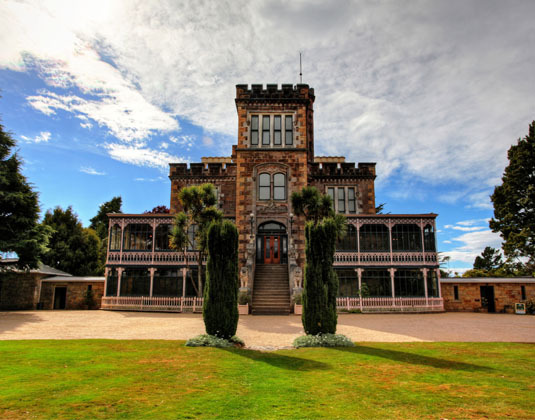 Enjoy a tour taking in the city’s most significant landmarks, then head to Larnach Castle for an intriguing tour. 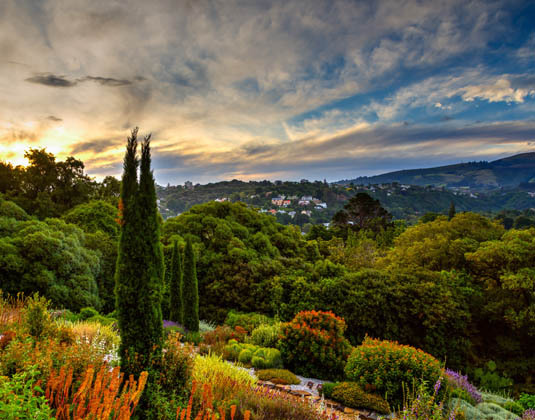 Steeped in scandal and tragedy, filled with magnificent antiques and offering breathtaking views, Larnach Castle provides a memorable holiday highlight. Day 9 Dunedin/Lake Tekapo: Journey along the east coast to see the Moeraki Boulders. 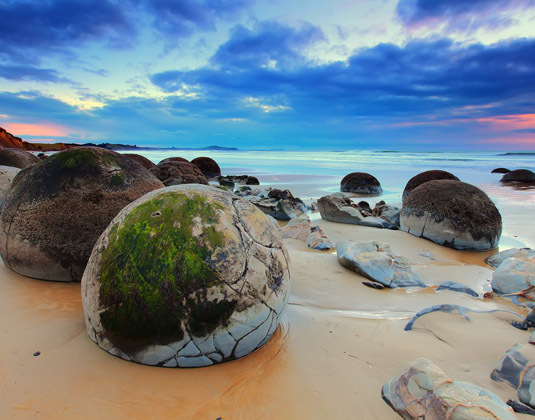 These large spherical stones, formed over 60 million years ago, can be found along a stretch of Koekohe Beach on the Otago Coast. 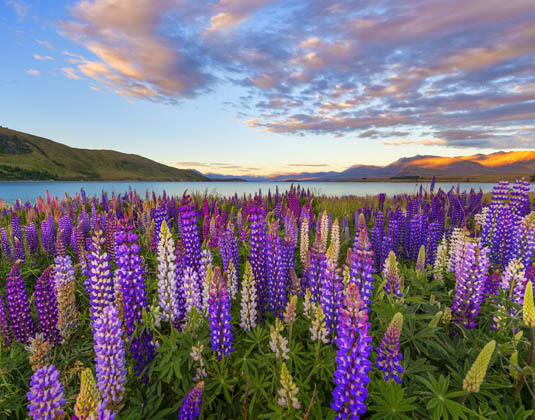 Continue to the harbour town of Oamaru and as you head to Lake Tekapo admire the magnificent mountains of Mount Cook National Park. Day 10 Lake Tekapo/Christchurch: Begin with a visit to the tiny Church of the Good Shepherd, where you can enjoy the pristine natural beauty and the azure waters of Lake Tekapo. Your tour concludes at Christchurch airport. Meals: Breakfast. Dinner is also included on days 2, 3, 4, 7, 8 & 9. 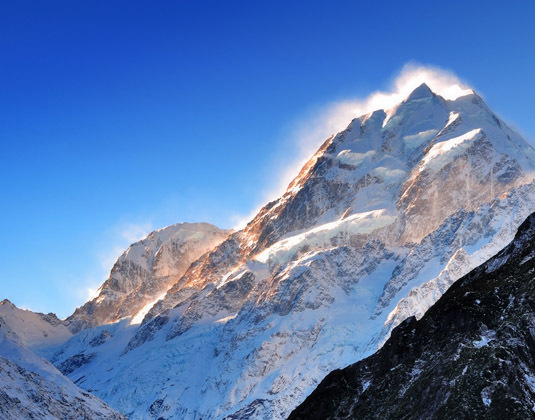 Tour price: The price shown for this Travelmarvel by APT tour is based on the best value travel dates in low season and includes accommodation, sightseeing as outlined, Interislander ferry on day 2 and services of a tour director. International flights are not included.